Read about the 2016 Penn Public Policy Challenge Finalists in our Meet the Team series this week, and watch the teams compete in the Finals on February 28th at 1PM at WHYY Studios. RSVP HERE for the Finals. Beyond the Verdict is one of five teams advancing to the Seventh Annual Penn Public Policy Challenge Finals. The team is made up of students Danny Hosein, Natalie Parker, Eric Stahl, and Persephone Tan. Philadelphia has a recidivism crisis. Each year, over 30,000 people return to Philadelphia from jail or prison. Due to circumstances largely beyond their control, such as poverty and stigma, two-thirds of returning citizens are rearrested or reincarcerated within three years. Recidivism ruins lives and communities; it costs Philadelphians millions of dollars. The number one barrier to reducing recidivism is a lack of funding. First, we generate a desperately-needed, dedicated, and durable funding stream by changing Philadelphia’s jury compensation default. Instead of continuing to pay the nine-dollar jury per diem automatically, we add a checkbox to the juror summons that requires jurors to opt to accept compensation. When a juror does not select to receive compensation, the nine-dollar per diem will be donated to the Philadelphia Trust for Returning Citizens (PTRC), a new municipal trust. Second, PTRC will invest that funding to strengthen and expand community initiatives proven to reduce recidivism. We estimate this small change will result in hundreds of thousands of dollars in funding annually, which the PTRC will use to impact hundreds of lives per year. 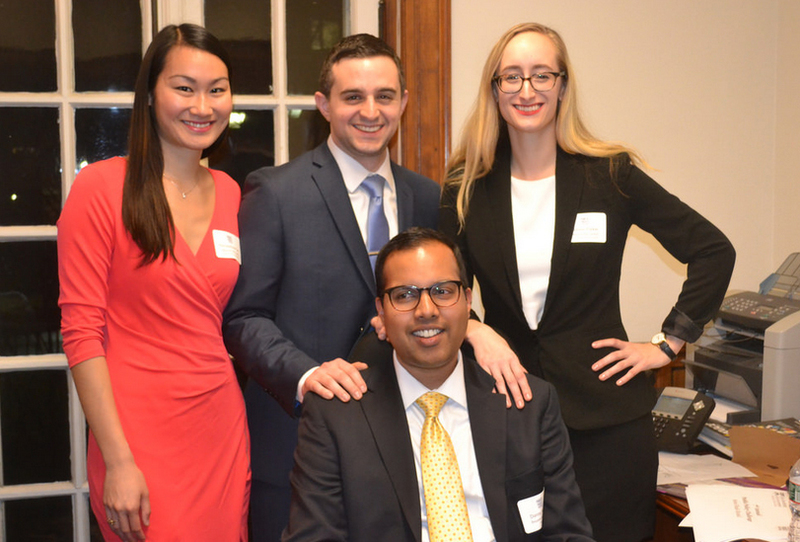 Danny Hosein (Penn Law, JD ’16). Danny is from Houston, TX and has seven years of experience in nonprofits and government. Before law school, Danny served in the Obama Administration at the General Services Administration and the Department of the Interior. Natalie Parker (Fels Institute, MPA ’17). Natalie is from Kansas City, KS and currently works for the City of Philadelphia’s Office of Innovation and Technology. She has experience in local, state, and federal government. Natalie previously worked for the U.S. Department of State, the Kansas Legislature and the Center for American Progress. Eric Stahl (Penn Law, JD ’16). Eric is from Philadelphia, PA and has four years of municipal and state political campaign management experience. Eric is currently a certified legal intern with the Philadelphia District Attorney's Office, where he represents the Commonwealth in Municipal Court. He previously interned with federal prosecutors at the United States Attorney's Office, District of Delaware. Persephone Tan (Fels Institute, MPA ’17). Persephone is from Chinatown, New York. For five years, she served lower Manhattan by working for the New York City Council. As a city council member’s housing director, Persephone advocated better access to public services for immigrant and marginalized populations, sought affordable housing opportunities, negotiated land use projects, and organized tenants against landlord harassment.